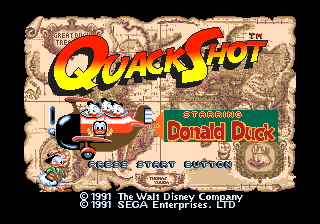 Описание К сожалению, у игры "Quack Shot Starring Donald Duck" отсутствует описание на русском языке. 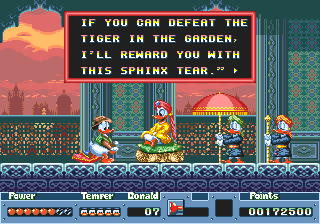 Если Вам удалось описать происходящее в игре, то отошлите, пожалуйста, свое описание по адресу svd@step.lv. 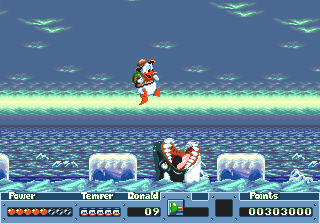 Большое спасибо за сотрудничество! 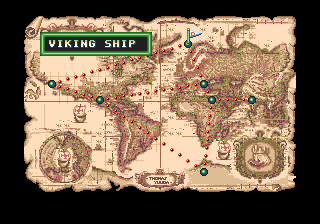 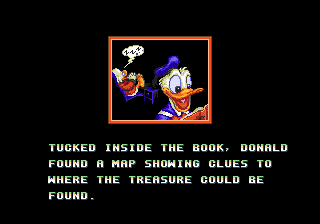 Donald and his three nephews get their hands on a treasure map and set out to hunt the big prize. 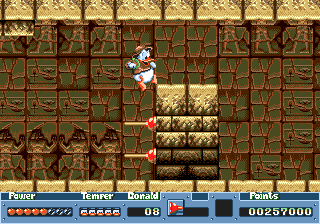 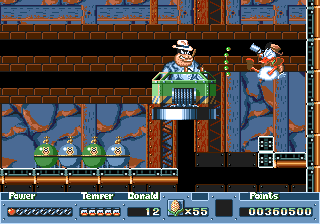 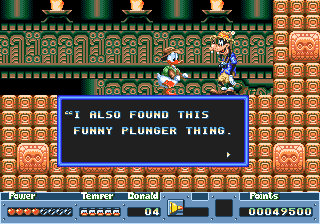 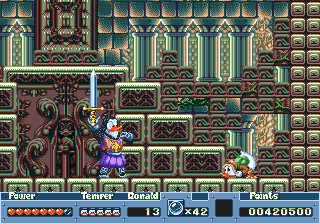 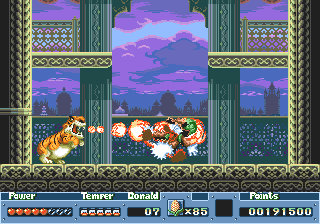 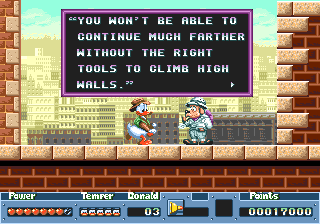 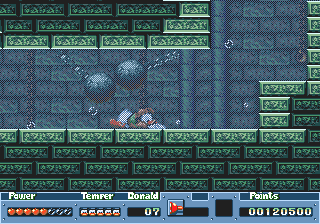 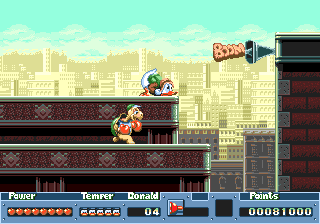 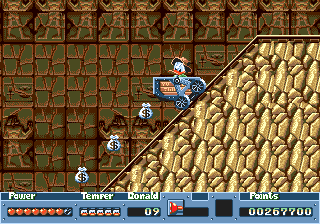 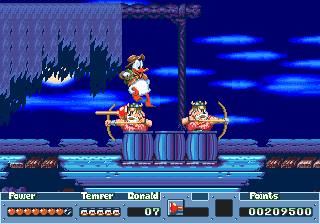 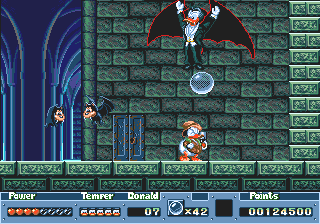 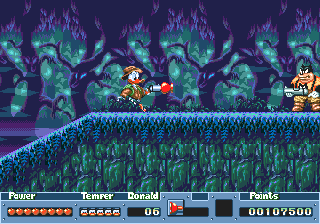 Donald travels throughout the world, to places like Egypt, India, South Pole and even Transylvania, while his nephews fly an airplane.As a weapon Donald uses plungers that can freeze the enemies or stick to walls which can then be used for climbing. 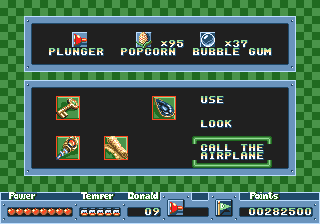 Other wacky weapons are popcorn and bubblegum! 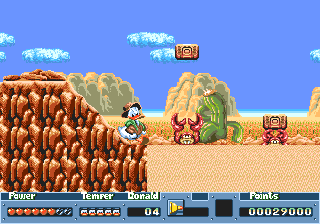 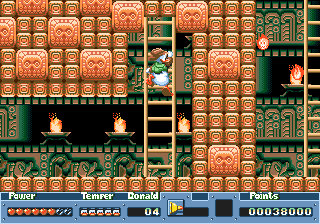 This is a steady Disney run-and-jump platformer, with a little puzzle-solving element.Characters are mostly based on Disney's cartoon series "Duck Tales"